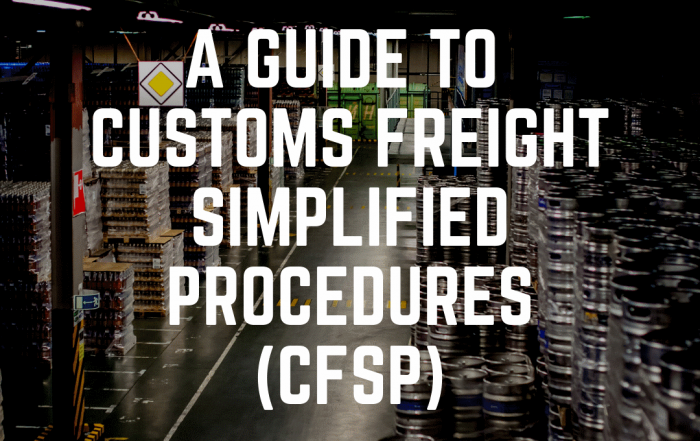 To make the process of buying and managing shipping and logistics services simple, efficient, stress free and cost effective. 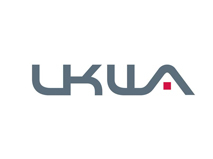 We do this by providing a friendly, efficient and personalised service combined with innovative IT solutions that enable our customers to always be in control of their supply chains. As a family owned business, the Good Family Values are part of everything we do, giving our customers a unique experience of trust and partnership. We’ve built our business on delivering an exceptional service to everyone we work with whether they’re customers, colleagues, business partners or suppliers. We aim to make every interaction with our business a positive and rewarding experience by providing service excellence and treating people the way we like to be treated ourselves. We encourage teamwork, it makes us all better at what we do and makes every day more fun too. Respecting and supporting each other is part of our great culture that we all love being part of. We have an open and enjoyable working environment where talent and hard work are rewarded, and people have the opportunity to achieve their personal goals. We are committed to the long-term, profitable future of our business and aim to achieve sustained growth that provides enhanced value to customers and industry partners and opportunities for our people. This is reflected in all the business decisions we make. We’ve created a culture that encourages innovation. We ask our teams to challenge the status quo and welcome new ideas. It ensures we’re always improving and gives employees the opportunity to help drive our business forward. By creating a sustainable and responsible business, we create long-term careers for people within the communities we work, however, our reach goes much further than that thanks to our foundation. We support our employees in their contribution to local charities and causes as well as national charities, give a percentage of our profits to the foundation and discount our services for charitable organisations. We aim to make a positive and lasting difference to the communities we live and work in. That’s why we created the pledge programme. Every year we donate a percentage of our profits to the Matthew Good Foundation, a foundation created by our parent company. Our profit contribution provides vital funds that help charities and community projects continue their valuable work. We encourage employees to take part in activities that enhance and serve the communities in which we live and work. This offers much-needed support to valuable projects and also has a positive impact on our employees’ personal development and approach to work and life. We welcome the opportunity to support non-profitable and charitable organisations with their work. We offer non-profits and charities discounts to help make professional shipping and logistics services more accessible. 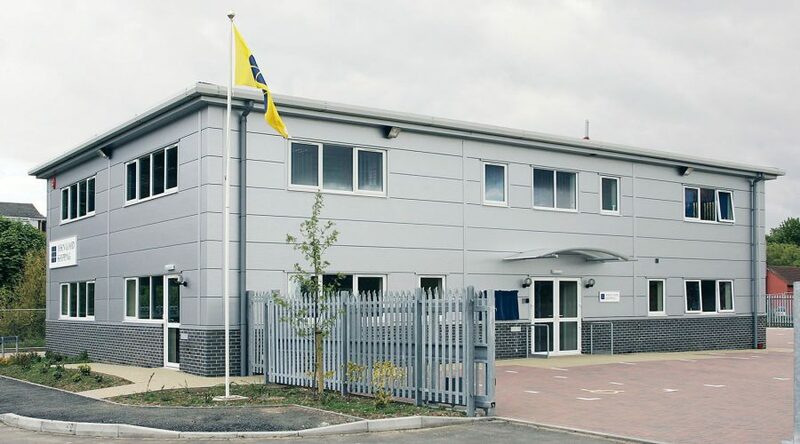 We work hard to minimise the impact of our operations on the environment, that’s why our head office is on one of the UK’s greenest business parks! We also work with our customers to help them reduce the environmental impact of their shipping and logistics needs, we do this through carbon offsetting and promoting services that are kinder to the environment such as port centric solutions. 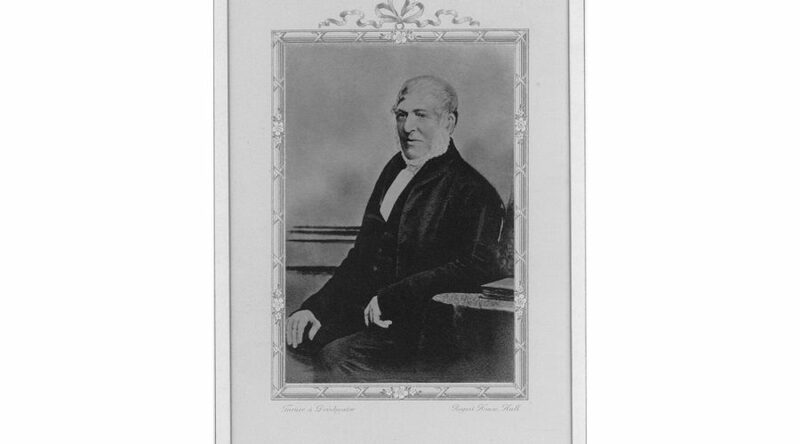 The Matthew Good Foundation was established in 2011 when the Good family and company directors decided that the company had more to offer society than its core commercial activities. 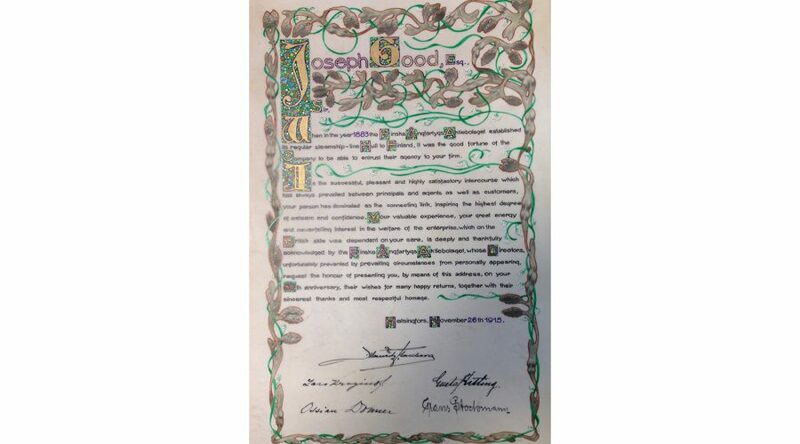 It would allow employees working within the John Good Group of companies, both the time and financial resources, to support charitable causes they are passionate about. The Matthew Good Foundation was named after Matthew Good following his sudden death while taking part in a charity run. 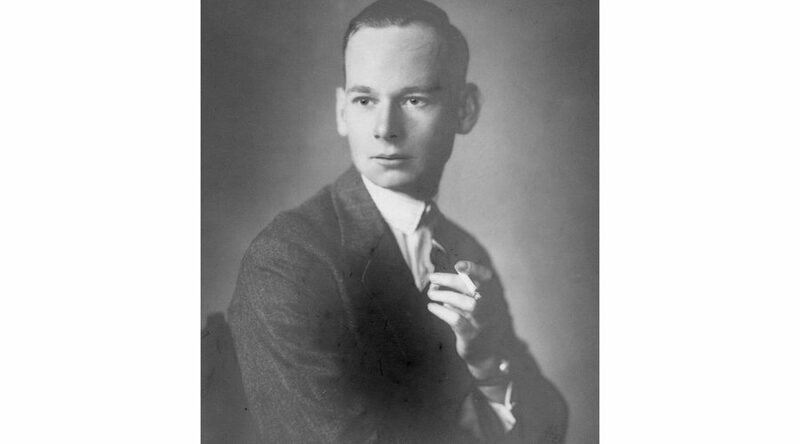 Matthew was a Director of the John Good group of companies and was dedicated to the family business and everyone within it. 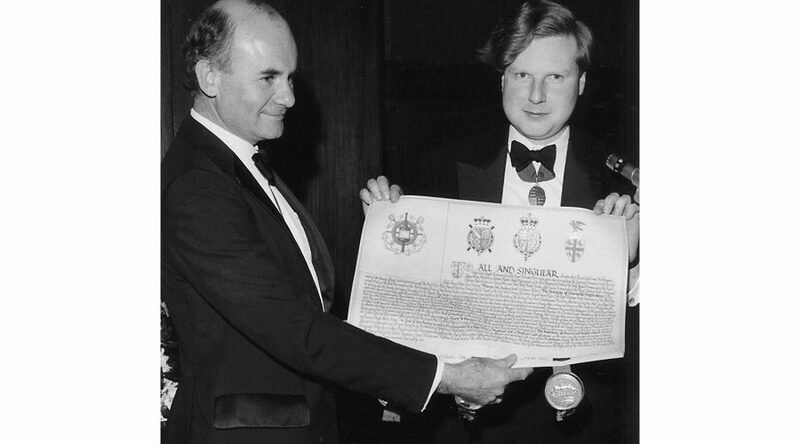 The Foundation’s concept embodied his principles, values and commitment to the employees. The Foundation will match funding raised by John Good employees for charitable events, endeavours and sponsorship. Supporting and developing a charity or community project which an employee or family member has direct or indirect input into. Supporting employees to start up their own grassroots community or charitable project. We donate a percentage of our profits to the foundation every year to support employees and their immediate family in charitable and community work, fund-raising and supporting positive projects in the community. 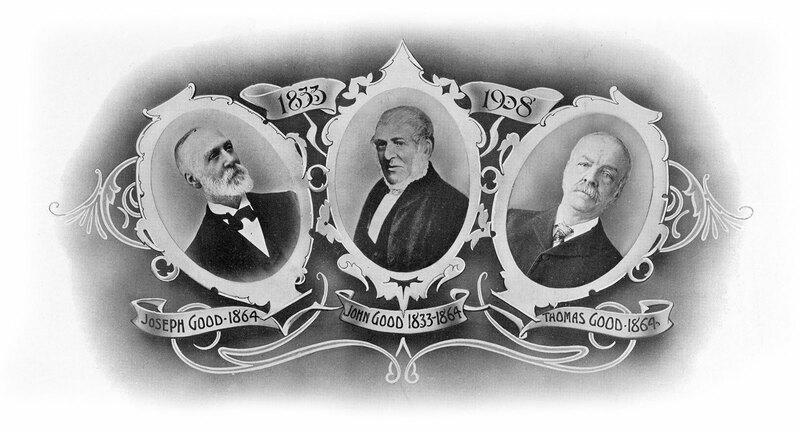 John Good was formed by the Good family in 1833 and remains family owned over 180 years on. 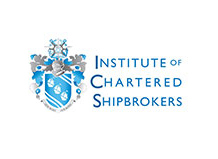 Beginning as a shipping business, we’ve evolved to be one the UK’s leading shipping and logistics companies. 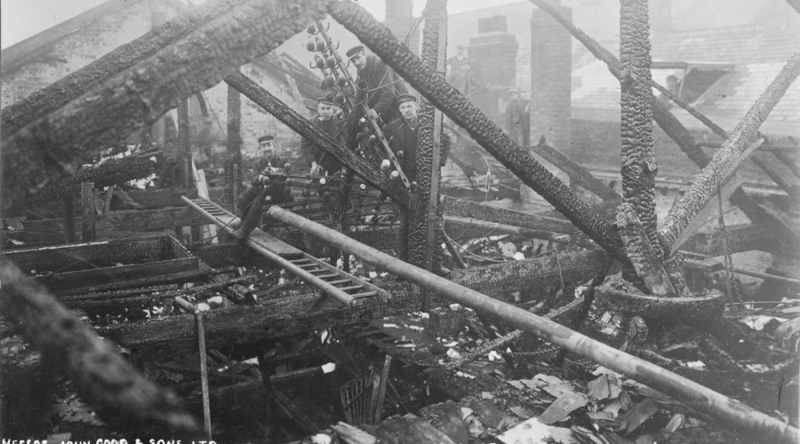 We are extremely proud of our history and heritage, and despite continuous growth, the Good family values remain at the heart of everything we do. Today we provide high-performance logistics and supply chain management solutions to customers from a diverse range of industries throughout the world. 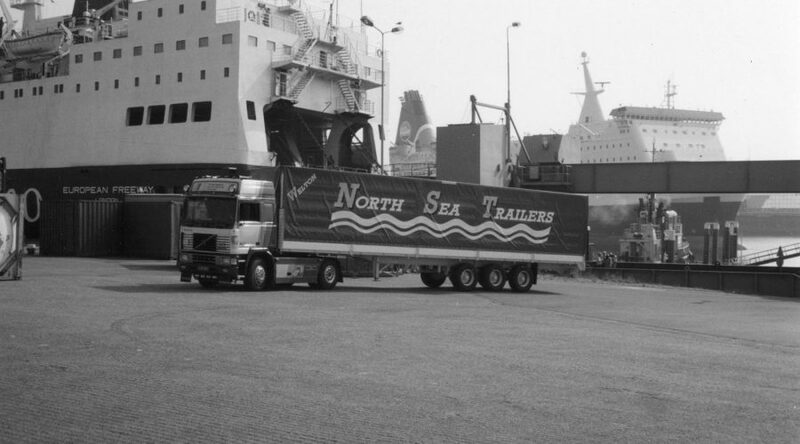 In 1974 the Company formed North Sea Trailers, an equal partnership with a Dutch company, to take advantage of new ro-ro services between the Humber and the Continent. 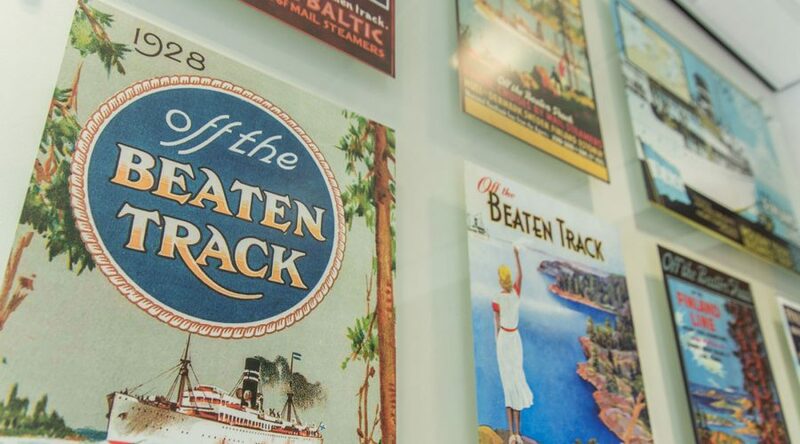 The travel brochure “Off the Beaten Track” was published by John Good and Sons from the early 1900s to 1939. 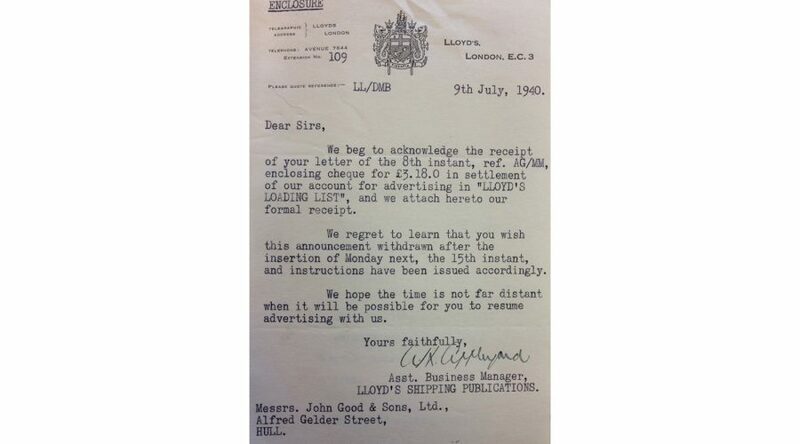 It was one of the first packaged holidays to be offered in the UK . 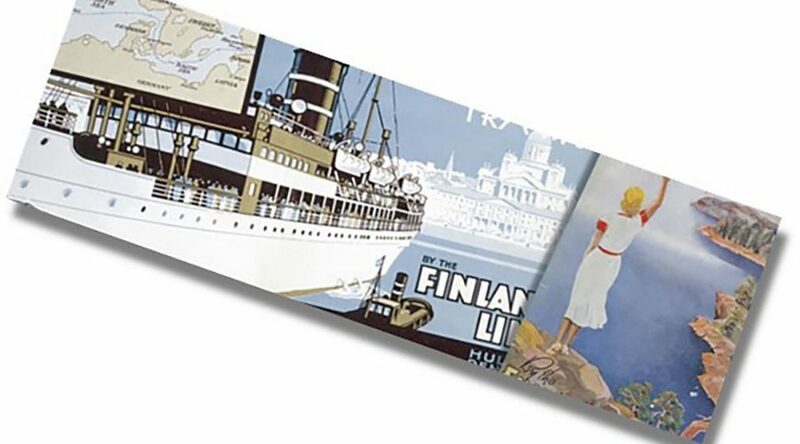 A 1933 poster of Finland Line promoting both holiday and business trips. 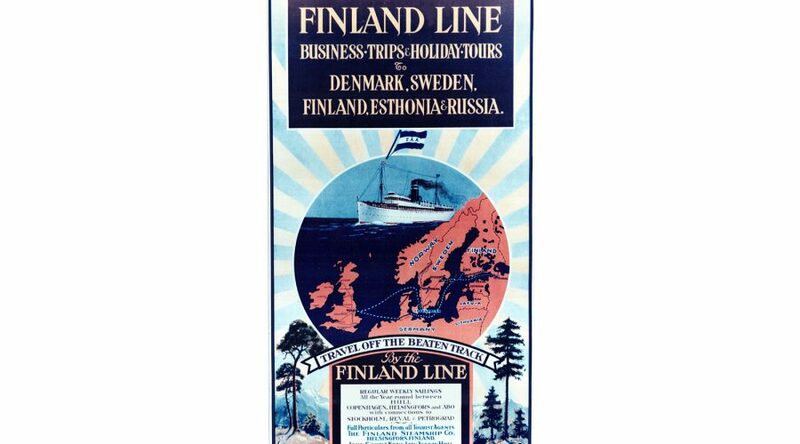 Travel Poster of Finland Line, for which the company were agents, advertising their twice weekly service to and from Finland and the Baltic. Cooper House, Felixstowe, the company’s new offices opened in 2005. 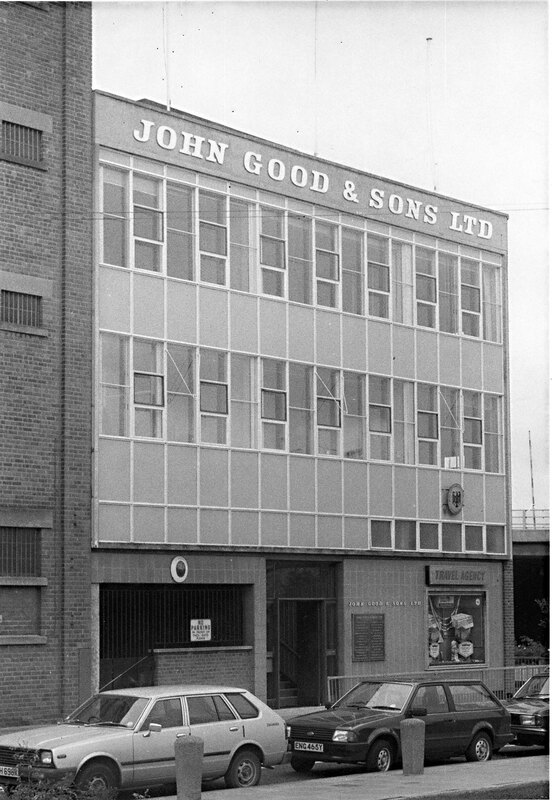 The head office at 71 High Street, Hull from 1960 to 2003. It was built on the site of a former warehouse of the company destroyed in World War II. 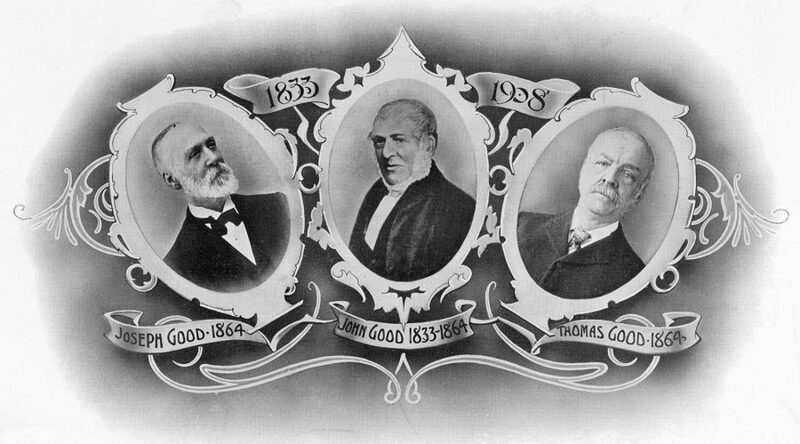 A greetings card issued in 1908 to commemorate the company’s 75th anniversary showing the founder, John Good, with sons Joseph and Thomas. 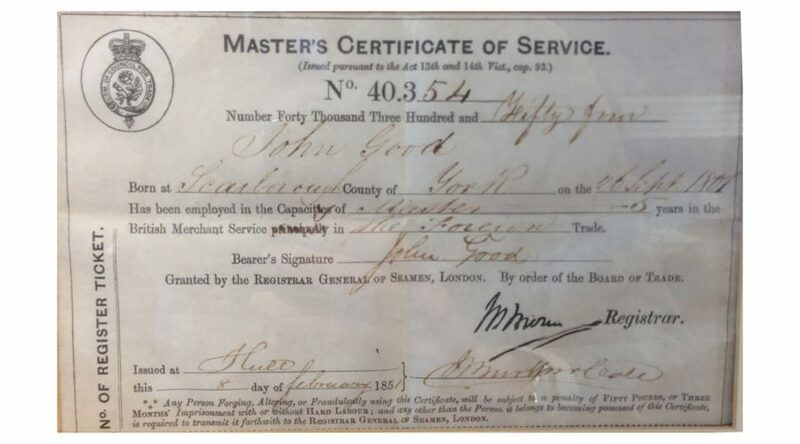 The dates shown depict the years of service with the company. 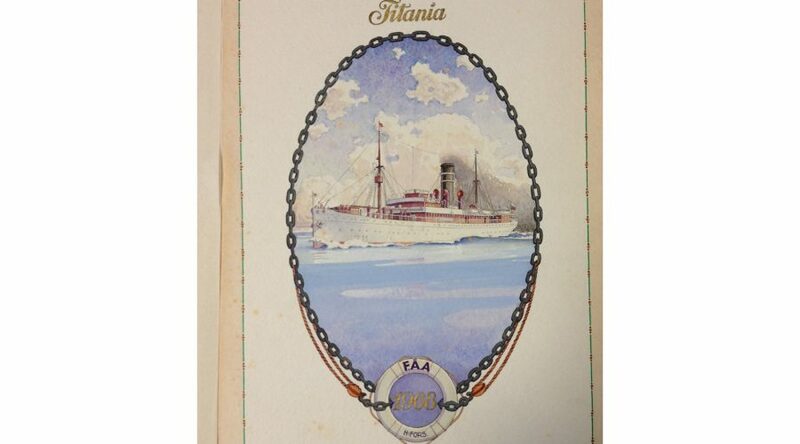 With the illuminated address presented to Joseph Good were two paintings of Finland Steamship Company’s vessels. 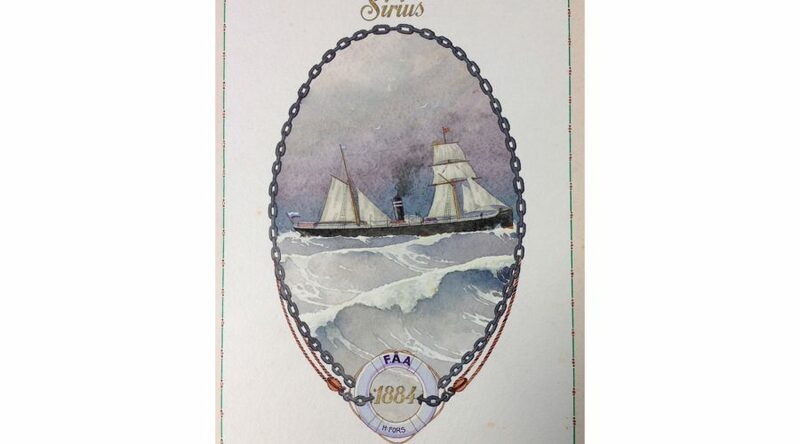 The ‘Sirius’ was their first vessel to start their regular service between Finland and Hull in 1884. 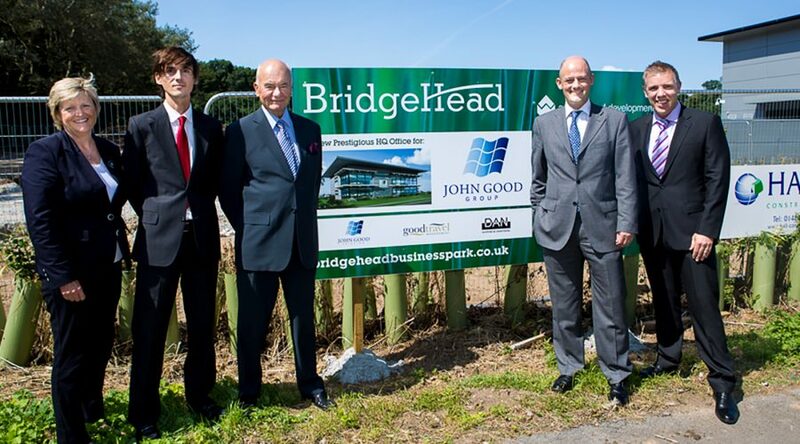 New head offices of the Group at Bridgehead, Hessle, near Hull. Opened 2015. Site of building work for new offices at Bridgehead, Hessle. 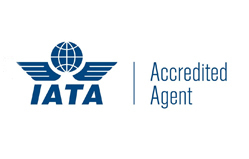 We are committed to delivering professional services of the highest standard and hold the following accreditations. 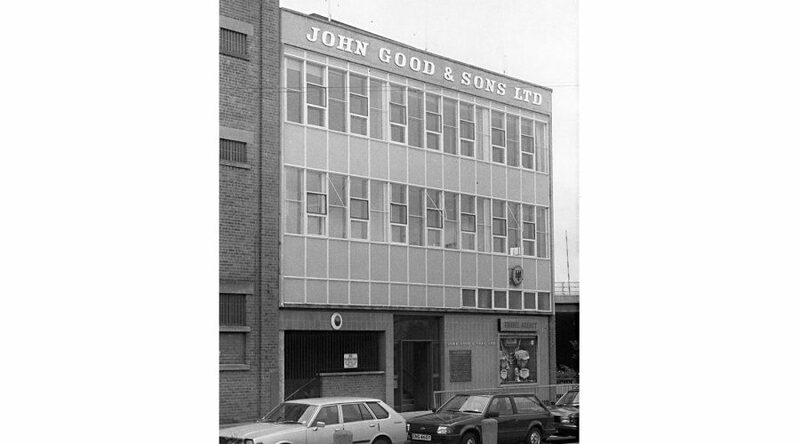 Our parent company, the John Good Group, was founded in Hull in 1833 and is still under the ownership of the Good family today. 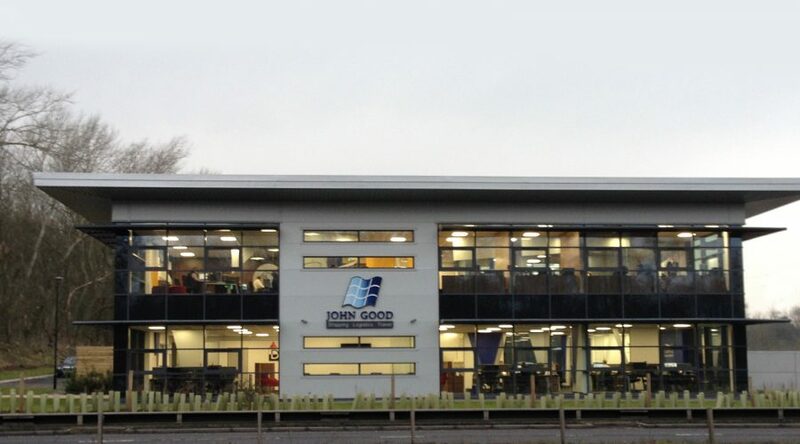 John Good has earned itself an enviable reputation throughout the UK and abroad as a result of its vast experience, quality service and highly dedicated team of employees. Over the past few years, the John Good Group has grown as a business, thanks to organic growth across each of its companies and strategic acquisitions in similar areas of trade with similar values to those of the business and family. The group now includes ten different subsidiaries, each operating independently, but working together wherever possible. 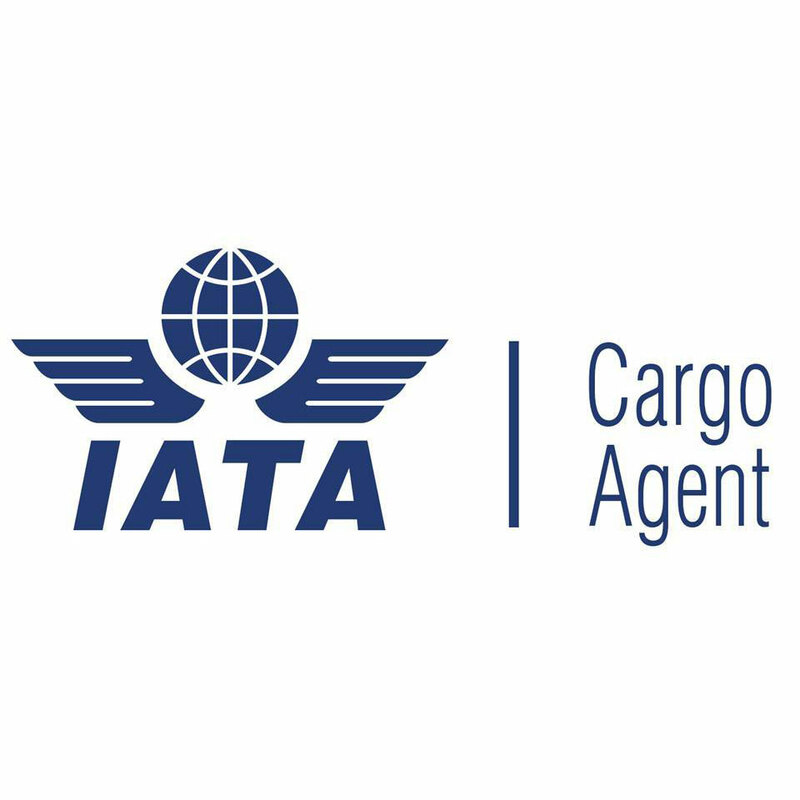 Our sister companies and other group subsidiaries include shipping, logistics, warehousing and travel companies.